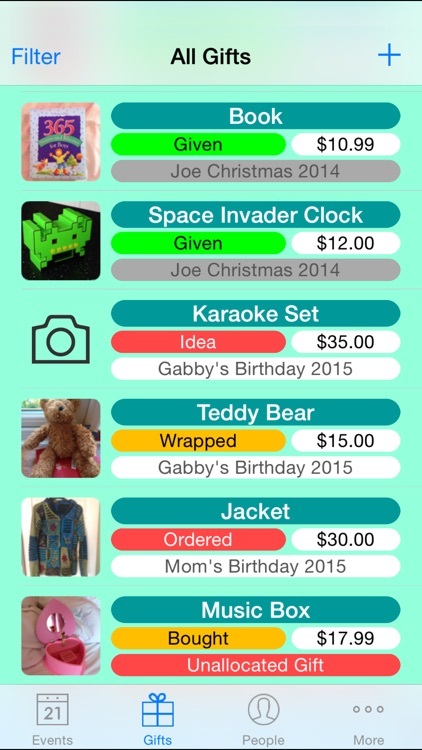 Lost track of who you still need to buy gifts for? Would you like a reminder to send a card before its too late? Have to remind yourself which presents you've already bought? Got a stack of gifts that you aren't sure who they should be given to? 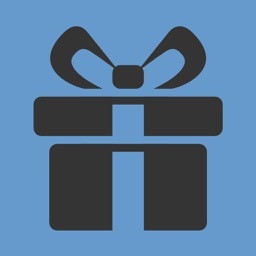 Want to know what presents you have bought for your friends and family in the past? Would you like a reminder that somebody's birthday (or Christmas or Wedding or ...) is coming up soon but you haven't bought a gift yet? 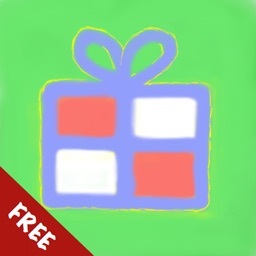 Do have lists of gift ideas for your friends & family but nowhere to put them? 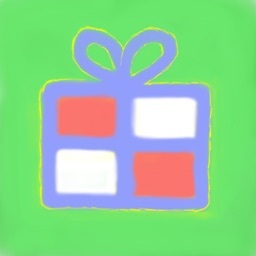 - Create as many events as you like - e.g. Dad's Birthday, Mom's Christmas, Bob & Sue's Wedding, etc. 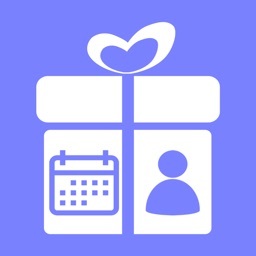 - Add gifts and link them to their event, or just keep the gift unallocated until you decide which event to use it for. 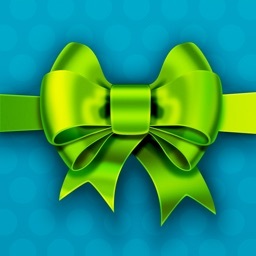 - Track the gift status right through from 'Idea' to 'Given'. 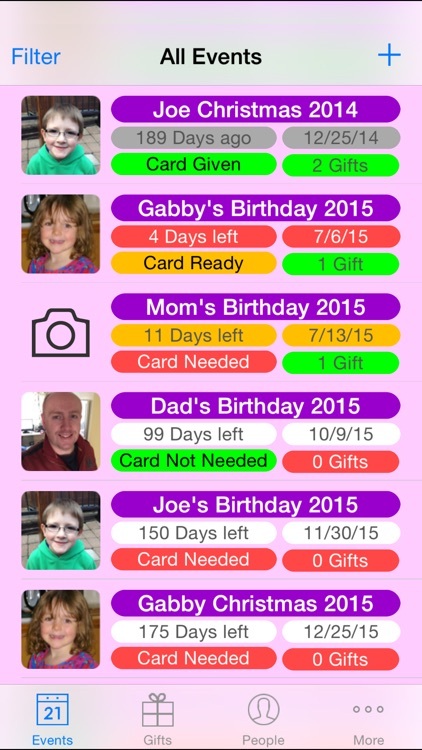 - Track the card status of each event, from 'Card Needed' to 'Card Given', or even 'Card Not Needed'. 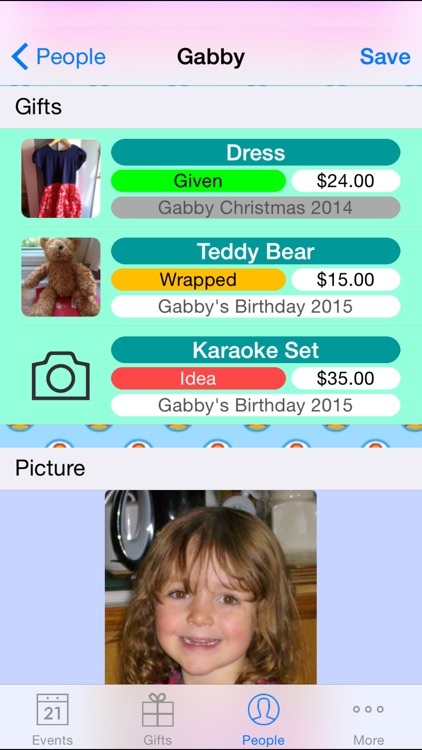 - Keep a list of the people that you are buying for, including their likes & dislikes. 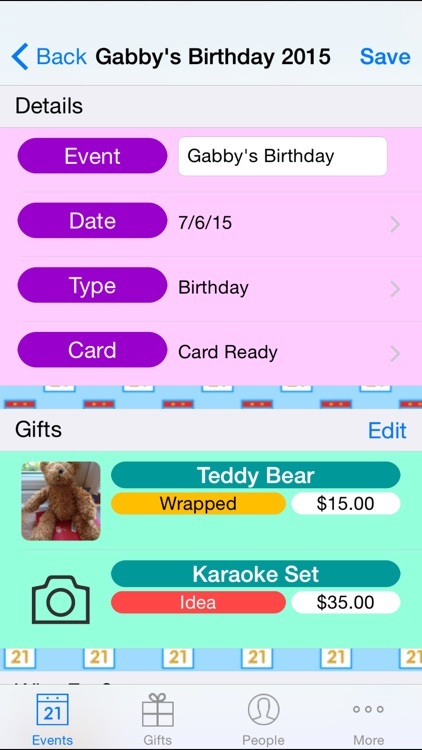 The app will automatically keep a list of previous gifts for each person. 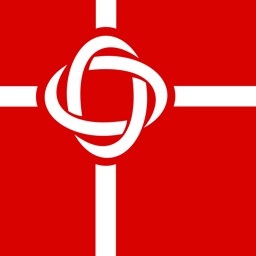 - Get reminders when you haven't bought any gifts, or haven't sent a card, or just a simple reminder that the event is soon. - If it's a yearly event e.g. 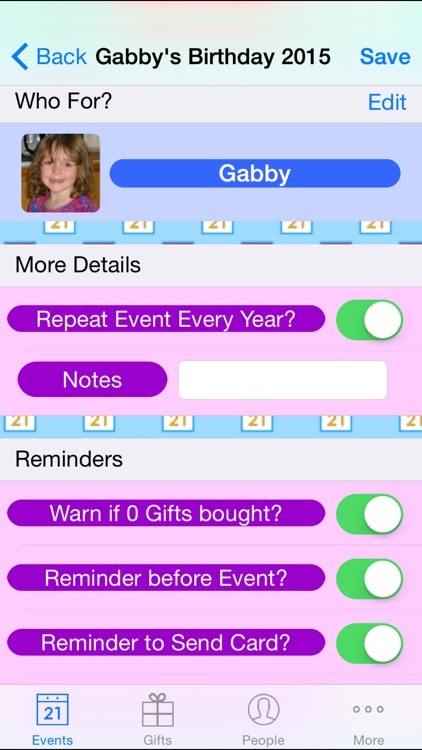 a birthday, Christmas or an anniversary, the app will automatically create future events.